To pass the Special Enrollment Examination, also referred to as the Enrolled Agent (EA) exam, you need to know about the exam content and the presentation of the exam questions. Familiarizing yourself with not only the content but also with the format and functionality of the exam in advance helps you feel more confident and reduces the number of exam day surprises. So, what can you expect the exam to look like? The EA exam screens at the Prometric testing centers were recently updated to be much more modern and intuitive. 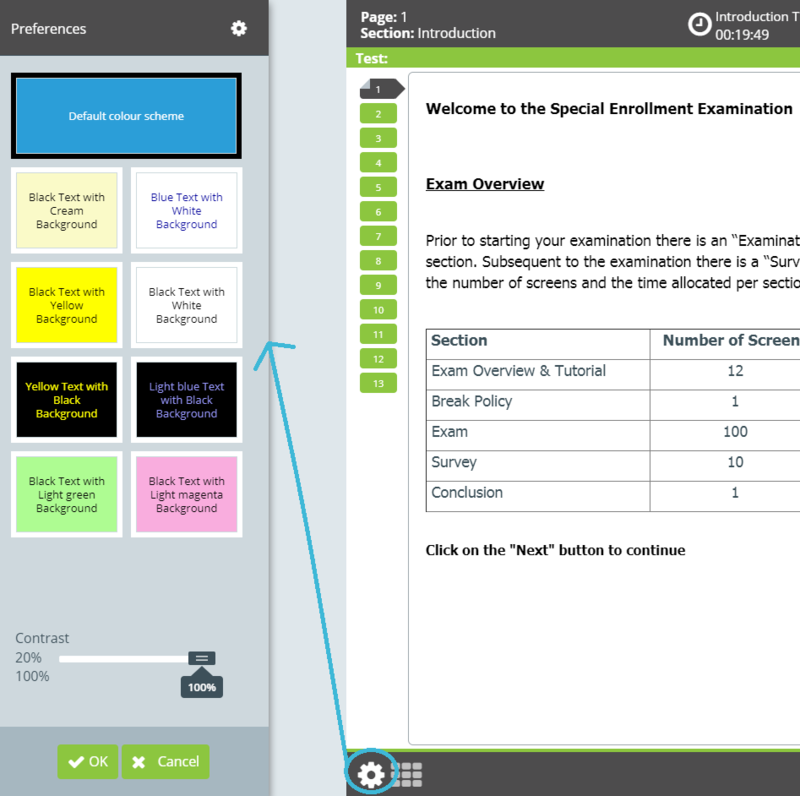 We’ll show you the new exam screens, interface, and tools and how to use them. The EA exam contains 100 multiple-choice questions that you have three and a half hours to answer. However, total time testing time is four hours and two minutes because the exam involves more than just answering the questions. A series of screens bookend the exam, and you must complete these screens in the time allotted. If you finish the Exam Overview, Tutorial, and Break Policy screens before the allotted time expires, your remaining time will not roll over into the exam time. The exam will remain three hours and 30 minutes long. We’ll now explain the various parts of the screen you’ll see when answering EA exam questions. Question Number and Section: You’ll see the question number out of 100 that you are currently viewing next to “Question” and the title of the section you’re in next to “Section”. Section Time Remaining: This area of the screen communicates how much time remains in that section. Clicking it reveals the time you have left for the entire exam. Progress Bar: This feature tracks the current percentage of questions answered. Answer Choices: All possible answer choices appear in this section. To answer a question, you must click the box containing your answer choice, which will then be highlighted. You can change your answer by clicking a different box. Flag: This button lets you flag a question you wish to return to later. During both your practice exams and the real EA exam, flag as few questions as possible to maintain your time budget of 1.5 minutes per question. As you can see in the images provided, each exam screen has a “Back” and a “Next” button in the bottom right corner. You can use these buttons to return to the previous question or move on to the next question, respectively. In the Introduction, a “Start the Test” button accompany these buttons. You’ll also see numbered buttons listed on the left side of the screen. These buttons represent the questions in the section, and you can use them to track your progress in the section and travel directly to a specific question. The exam has 100 questions, but only 29 numbered buttons appear at a time. The bottom button (5) contains a down arrow that you must click to see the additional question navigation buttons. The new EA exam interface features modern icons, fonts, and colors. 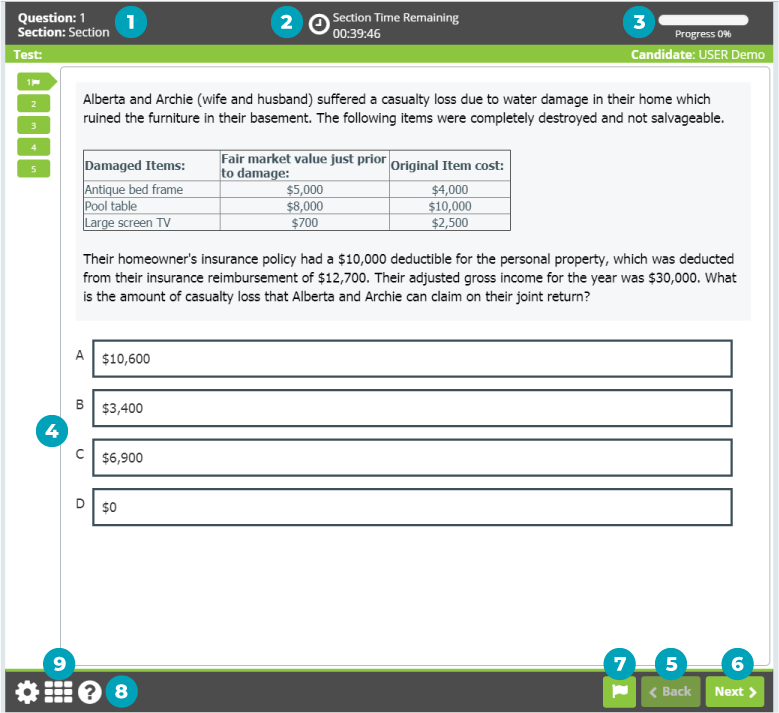 The exam has also been enhanced with some easy-to-use buttons, tools, and resources. 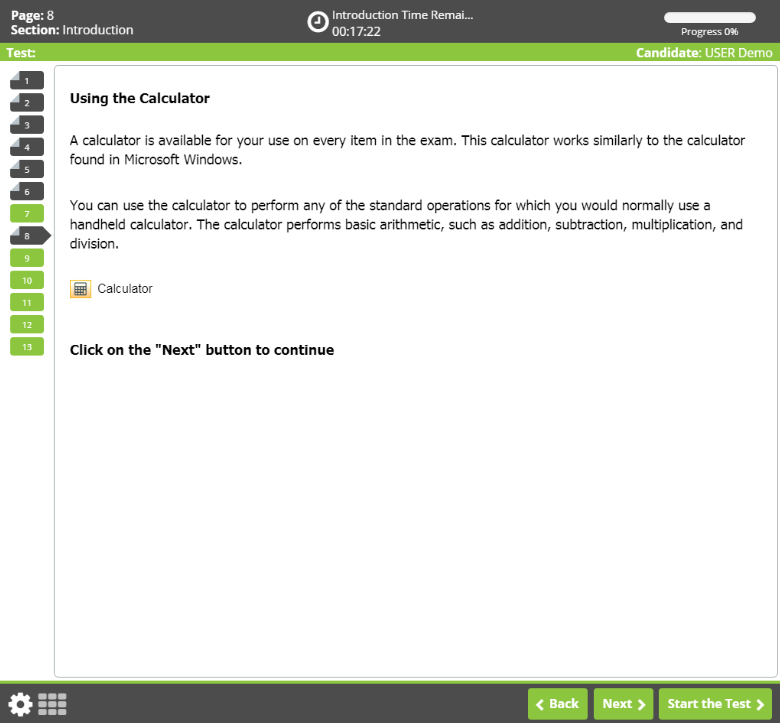 For example, the on-screen calculator, which works similarly to the Microsoft Windows calculator, is available for every exam question. It performs standard operations such as addition, subtraction, multiplication, and division. 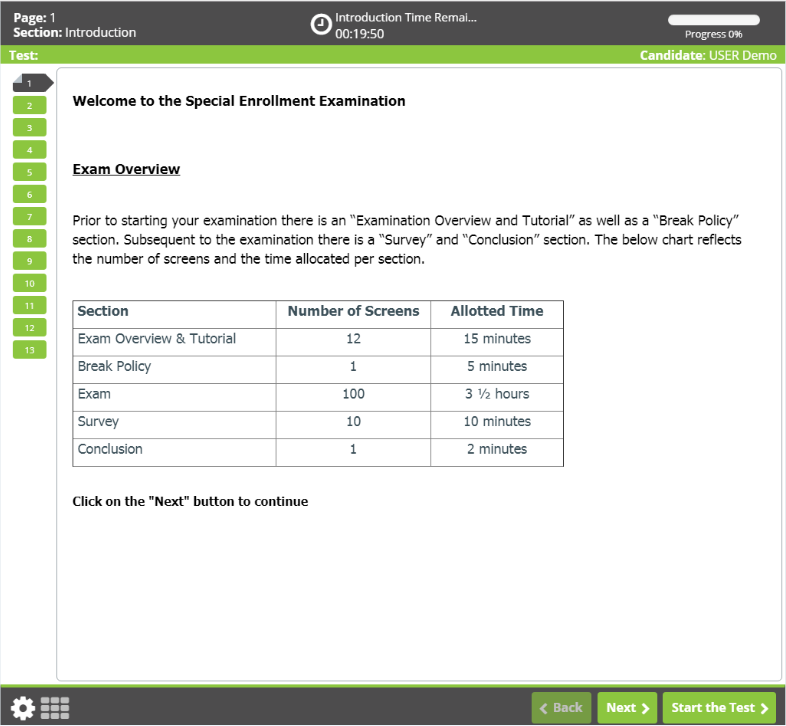 Another new resource for EA exam candidates is the Section Review. You can access the Section Review via the grid icon in the bottom left corner. It shows the status of each question in the current section (unattempted, attempted, or flagged), and you can click the appropriate numbered icon to navigate to a given question. The padlock icon lets you lock the Section Review in place, and the “X” icon closes it. 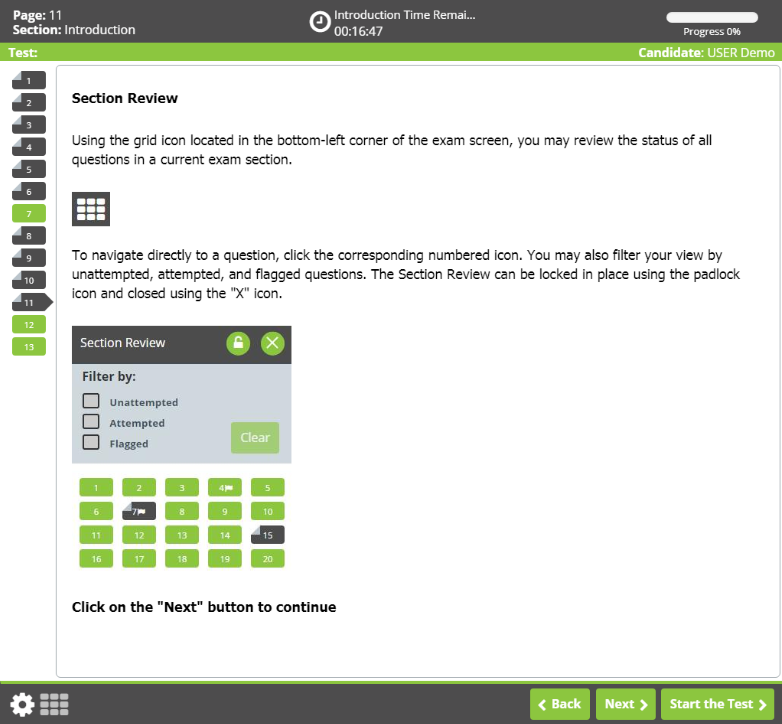 The gear icon (also located in the bottom left corner) leads to a slide-out Preferences menu filled with options for adjusting the text and background colors of the exam screens. You can select one of the preset combinations or make your own combination, and you can also adjust the screen contrast using the slider at the bottom of the menu. If you experience discomfort or difficulty reading the exam screens due to the default color scheme, this menu is helpful for finding a more visually accessible palette. Otherwise, don’t get distracted by these options, but focus instead on moving through each screen in a timely manner. Besides answering the questions, tracking your remaining time is your most important testing responsibility. Being familiar with the functionality of the exam makes focusing on these two responsibilities easier. You have to answer every question to have the best chance at success, so keep your attention on the “Section Time Remaining” clock. This clock is a better resource than the “Total Test Time Remaining” clock because the latter includes the time allotted for the concluding screens. If you encounter a question and you’re not sure of the answer, make your best guess, flag it, and move on. 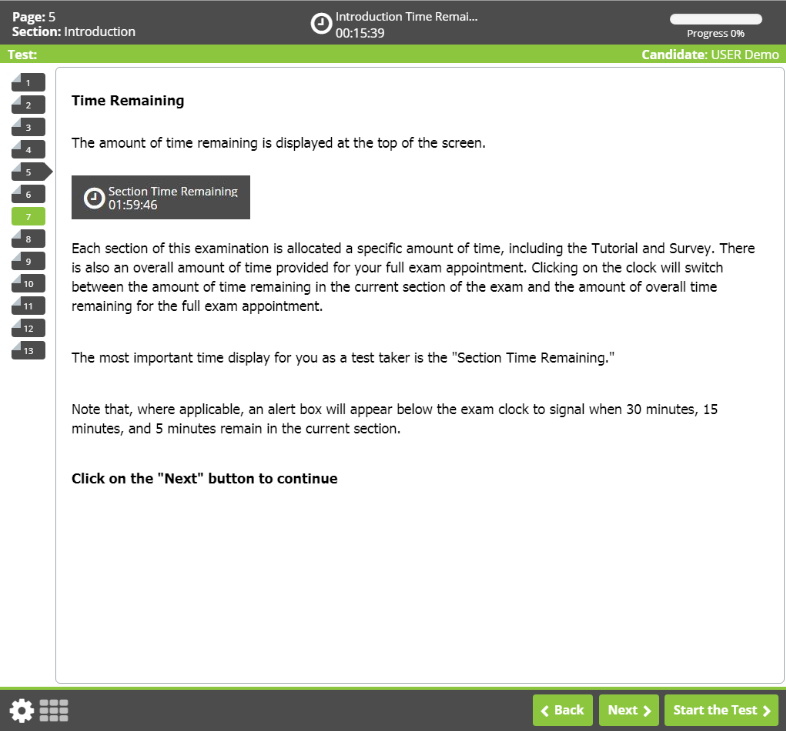 Even in the introductory screens like the exam overview and tutorial, pay close attention to the time remaining. You want to be totally ready when the exam begins so you can apply your time management system immediately. Stick to your budgeted time of 1.5 minutes per question, just like you practiced. Answering each exam question in 1.5-2 minutes gives you anywhere from 10-60 minutes to review any unanswered and/or flagged questions. This strategy allows you to maximize your points by guaranteeing time to both answer the easier questions and work through the more troublesome ones. To see the new screens, interface, and tools for yourself, access Prometric’s SEE Tutorial. Then, gain plenty of essential experience with EA MCQs by reviewing with the #1 Enrolled Agent exam prep. 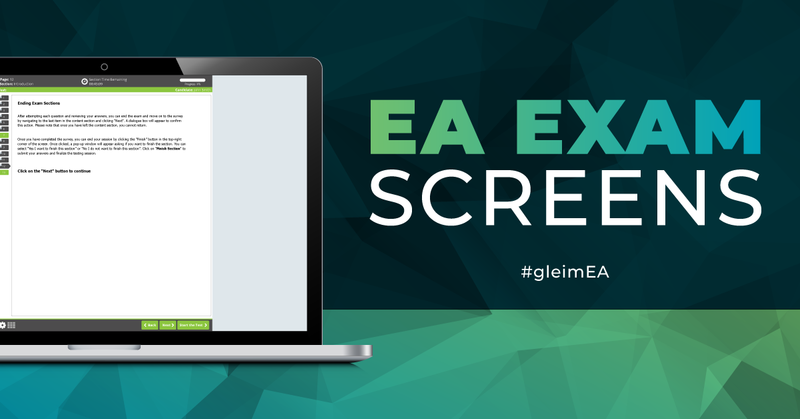 Gleim EA Review includes the largest test bank on the market with questions that emulate the exam more than any other course. Start practicing with our comprehensive test bank today by accessing our free Enrolled Agent Exam questions.